Pink Ribbons, Inc. by Samantha King is a good place to start. A list of books and essays by Breast Cancer Consortium that address breast cancer as personal, political, and social. A good list of reports, books, films about breast cancer and its prevention by Alliance for Cancer Prevention. Pay attention to what is in the products you buy — to check out cosmetics ingredients. 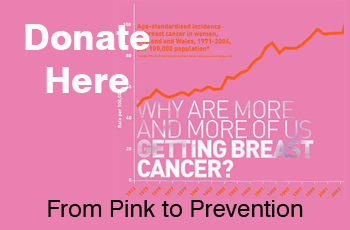 Think Before You Pink™, a project of Breast Cancer Action.